It’s that time again–the time when the rumor mill starts heating up with talk that AJ is leaving the company. And, honestly? I’d be alright with that. AJ has done EVERYTHING there is to do as a woman in WWE. And while she’s still rather obviously talented, she hasn’t been interesting in a long time. There are a lot of other talented Divas on the roster, and a year-and-change long break would open up a top spot for them. Brass rings, ya know? I’ll be angry if: AJ wins. Also, if the commentary team spends too much time recounting the kiss from last month’s show to pay attention to this match. I’ll keep my cool if: Nikki wins a more competitive match-up, while still looking like a beast. This time, Brie does NOT play a role in the finish. What I’m expecting: Nikki wins clean. 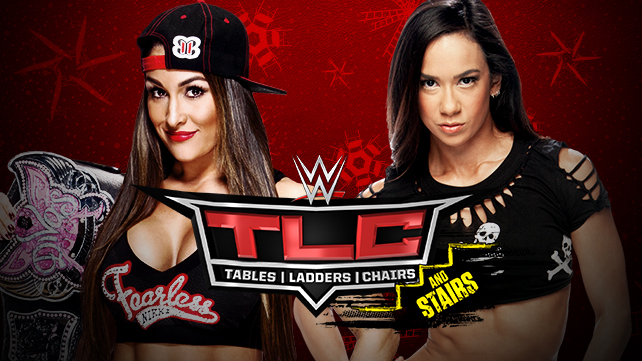 We start moving closer to Bella vs. Bella for the Divas championship. Joe Lopergalo liked this on Facebook.